Aamir Khan and Amitabh Bachchan’s upcoming epic adventure film ‘Thugs Of Hindostan’ is creating a lot of buzz since it was announced. 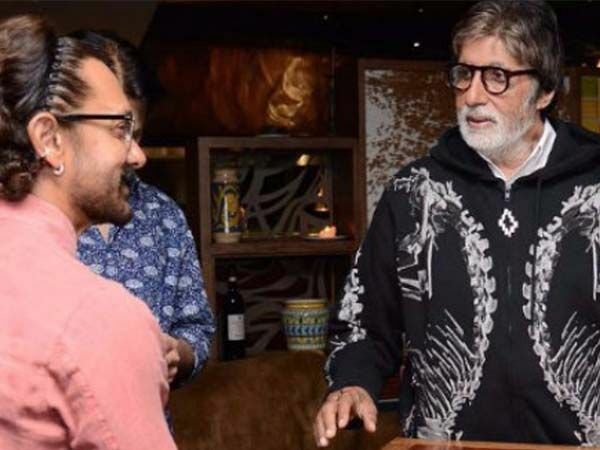 For the first time, Bollywood fans are going to witness Aamir Khan and Amitabh Bachchan together on the silver screen which is really exciting. 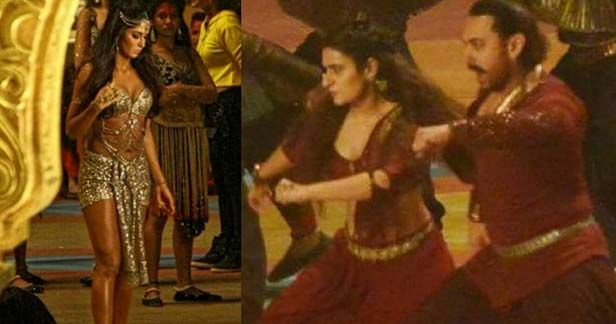 Many leaked images from the sets of this upcoming film have increased the excitement and curiosity levels of the cinema fans and they have been asking for more. Yesterday only the team of ‘Thugs Of Hindostan’ revealed the official logo of the film and now there is one more surprise for the Bollywood fans. After the release of the official logo of this film, now the first look of the legendary actor Amitabh Bachchan is out and the Bollywood fans just can’t keep calm. 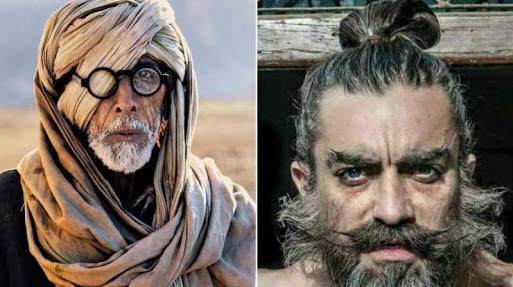 Amitabh Bachchan’s look in the character of ‘Khudabaksh’ is surely winning the hearts of Bollywood fans and he just looks fabulous in this character. 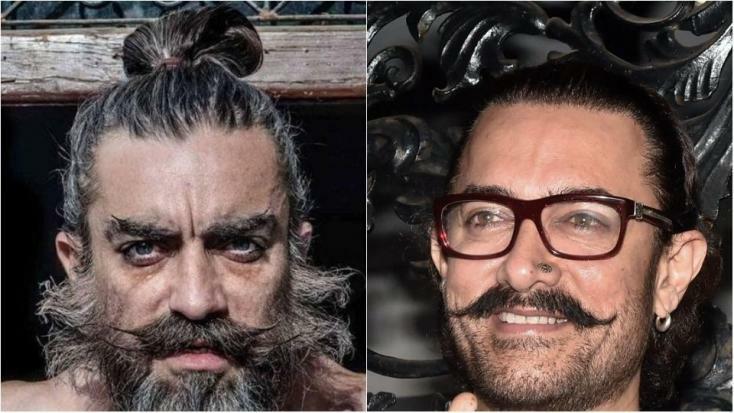 Earlier also his look was leaked from the sets of ‘Thugs Of Hindostan’ which went viral on the internet. 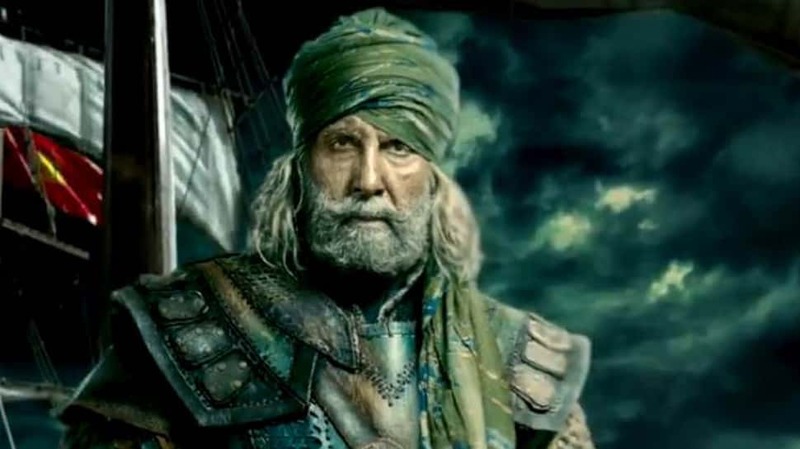 The video which reveals the look of Amitabh starts with a thunderous night where a hawk is hovering over the sea and then Amitabh’s look as Khudabaksh is revealed. Aamir Khan who is also known as Mr. Perfectionist of the film industry earlier stated that Amitabh Bachchan has a lot of action to do in this film. He told that the film has got a lot of action scenes for him and after a long time, the fans would witness Amitabh Bachchan doing action scenes on the silver screen. He also stated that it is a very challenging film for Amitabh but he is doing it really well. It’s really interesting that Amitabh Bachchan would be doing action scenes in this upcoming film. He is 75 years old but still, he never fails to surprise Bollywood fans with his breathtaking roles. 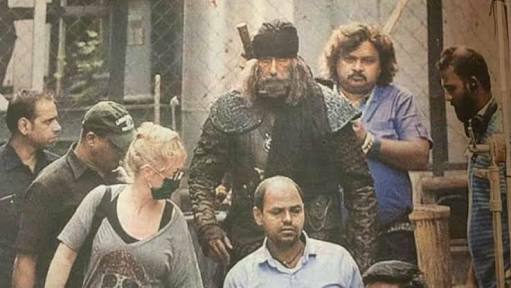 ‘Big B’ is probably playing the role of a warrior in this film because even in the earlier leaked images of Amitabh Bachchan from the sets of ‘Thugs Of Hindostan’ he was spotted in a black turban, armour and a sword. The look of Amitabh Bachchan is really interesting and is giving rise to many questions on his role. The look of Amitabh Bachchan has definitely increased the excitement and curiosity among the Bollywood fans and they can just not wait for this epic adventure film to release. The trailer for this film is going to release next week and the cinema fans just can’t keep calm. This film is being directed by Vijay Krishna Acharya and also features Katrina Kaif and Fatima Sana Shaikh in the major roles. The film is going to release on 8th November this year during the time of Diwali. So this film is going to be a Diwali treat for the Bollywood fans and also a bonanza for the filmmakers of this epic action adventurous film. Talking more about this film it is based on Philip Meadow Taylor’s novel ‘Confessions of a Thug’.